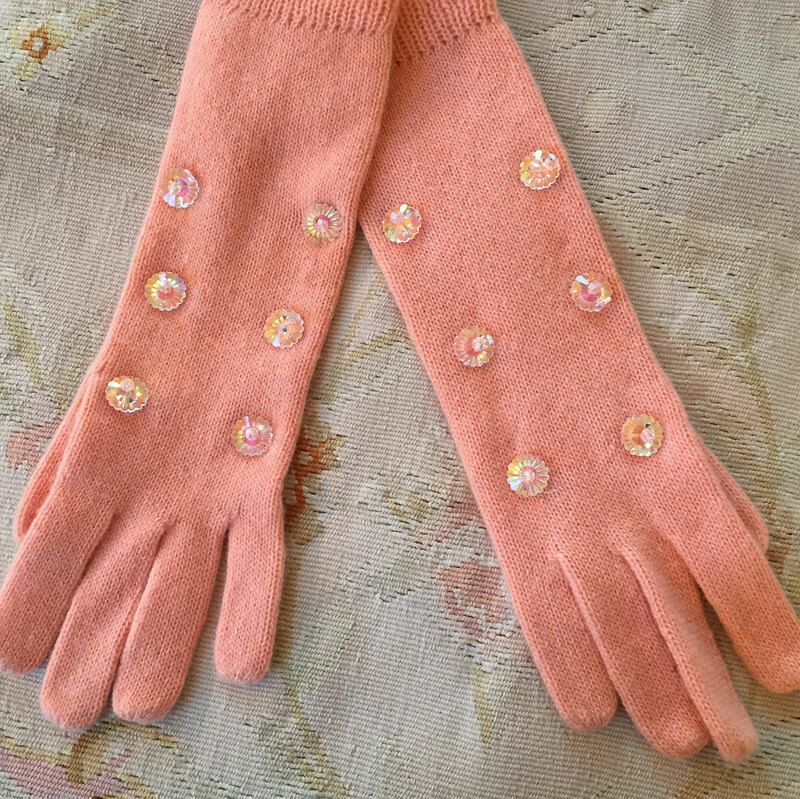 Geoffrey Beene spring wool gloves with early blooms of frost across the top. 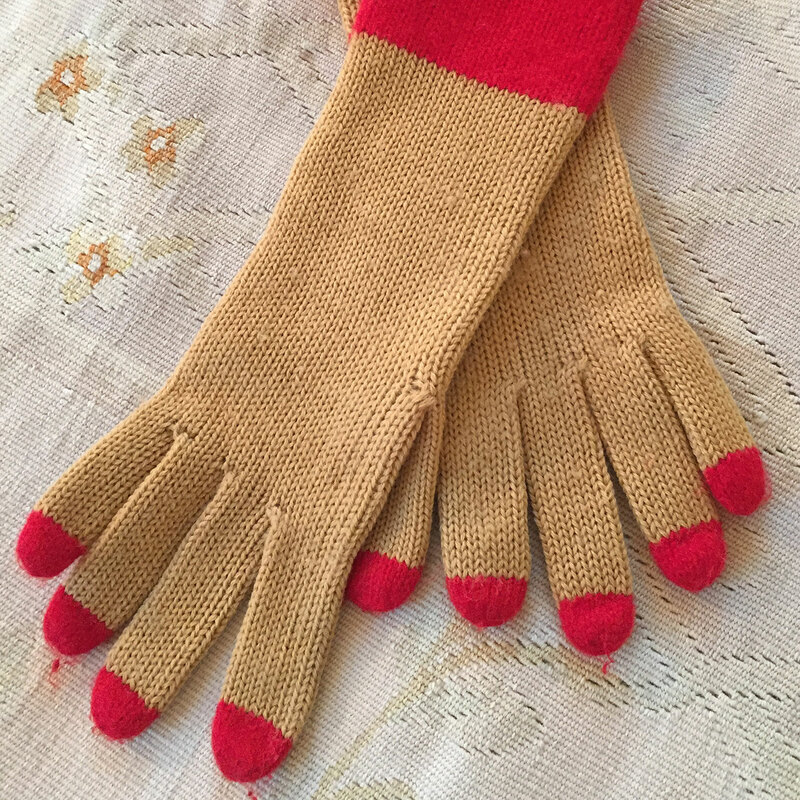 Geoffrey Beene spring wool gloves with red fingernails built right into the tips. 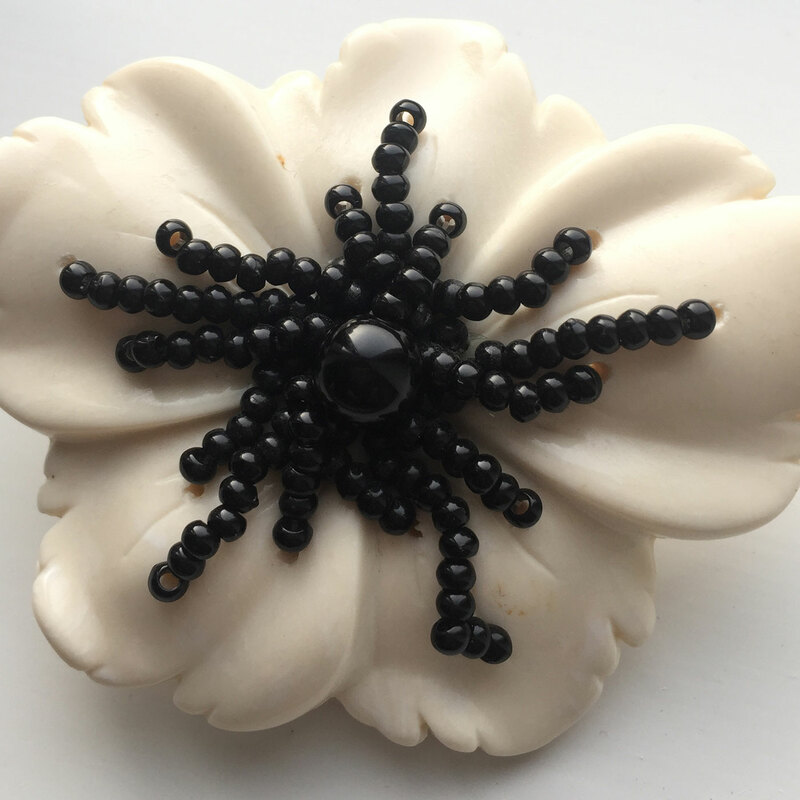 Geoffrey Beene white ceramic brooch strung with jet beading. 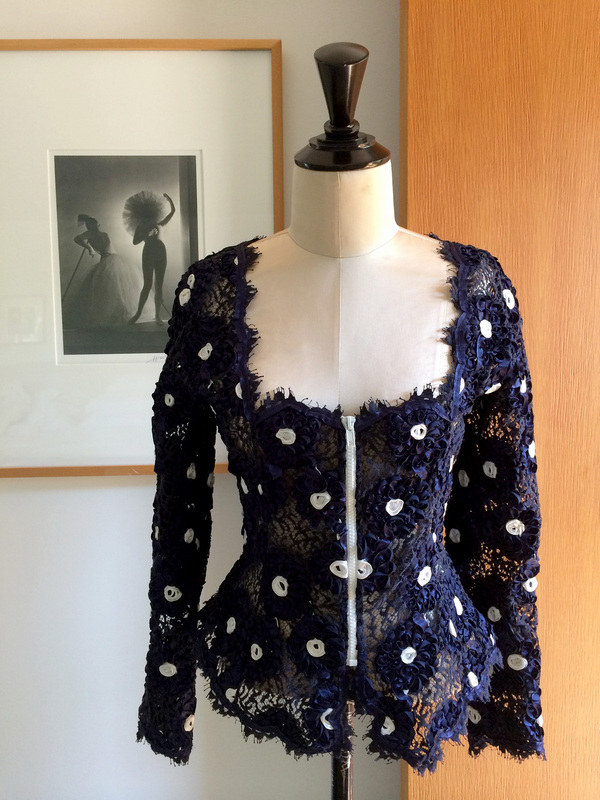 Geoffrey Beene overblouse of scissor-sculpted navy lace, re-embroidered with silk ribbon and chiffon blossoms. 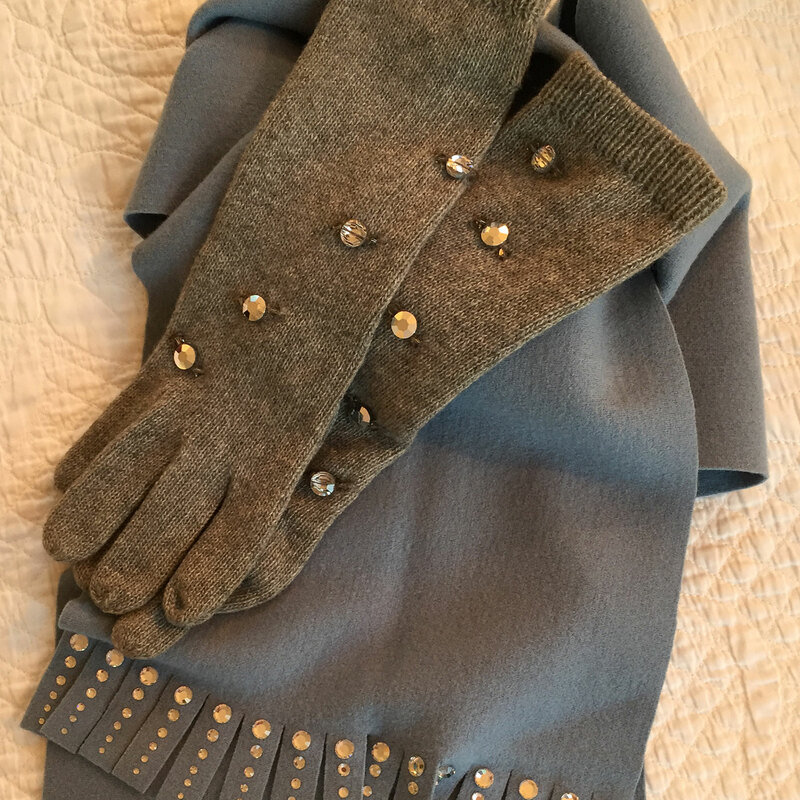 Behind, we see Salvador Dalí’s costumes for Leonid Massine’s Bacchanale, photographed by Horst, 1939.